Home / FILIPINO FILMS / “Ang Araw sa Likod Mo" Graded A by the Cinema Evaluation Board. “Ang Araw sa Likod Mo" Graded A by the Cinema Evaluation Board. Internationally and locally acclaimed Phils.-based produced full feature film “Ang Araw sa Likod Mo (The Sun Behind You)” directed by Dominic Nuesa starring Ping Medina, Bong Cabrera and Mike Liwag has recently been graded A by the Cinema Evaluation Board. 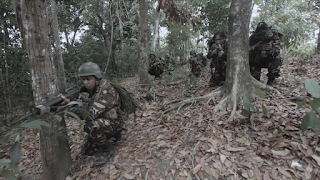 For its consistent and deliberate effort to give the audience a fresh take and affecting story about the country’s long-time battle in Mindanao, Nuesa’s “Ang Araw sa Likod Mo” now joins the roster of other acclaimed Filipino films that have been graded A by the board such as Mario Cornejo’s “Apocalypse Child,” Paul Soriano’s “Thelma” and Albert Martinez’s “Rosario”. The film made the board’s cut in terms of excellence in direction, screenplay, cinematography, editing, production design, music scoring, sound and acting making it worthy of the 100% amusement-tax rebate incentive from the government. Directing from his own script, “Ang Araw sa Likod Mo” follows an elite team of Phils. Scout Rangers headed by Sgt. 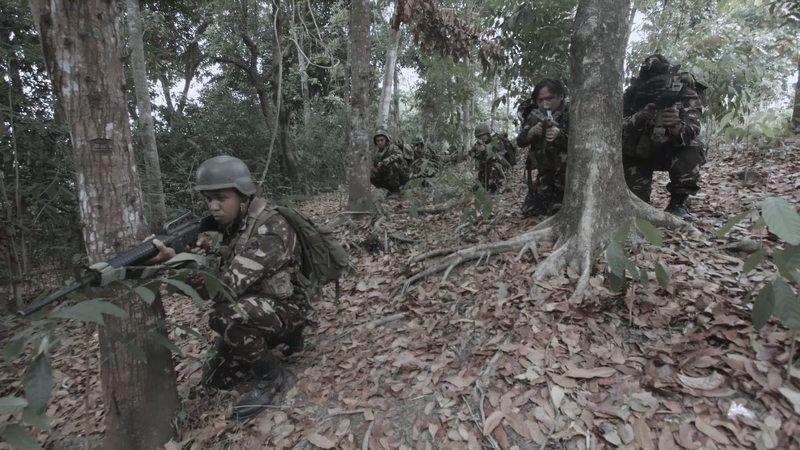 Benjie Calayan (Medina) tracking down lawless Islamist elements in the southern tip of the country. 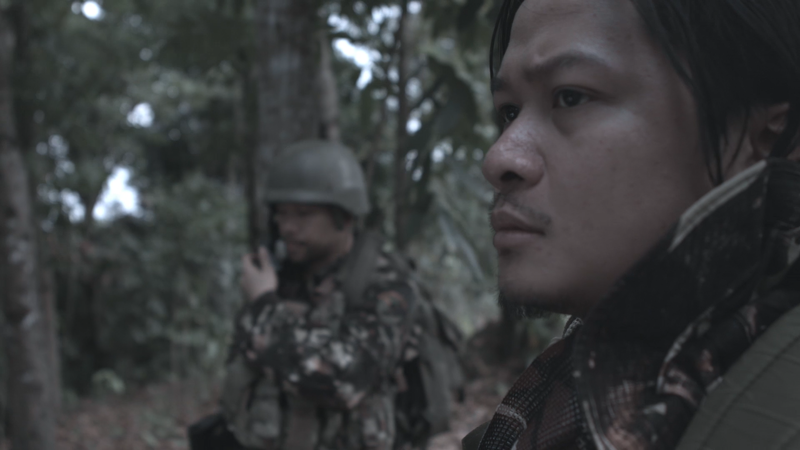 Caught in the middle of this conflict are brothers Omar (Liwag), a young Muslim scholar turned radical and his older brother Jamiluddin (Cabrera) turned government informant. The title of the movie, “Ang Araw sa Likod Mo” is symbolic of one’s trust and loyalty to a revered family or friend and inspired by Islam’s daily prayer before sunrise known as Fajr. In the film, this is further emphasized as Jamil and Omar share an unbreakable bond of trust despite belonging to opposing sides. On developing his script, Nuesa is mindful of the humanity of each character from both (opposing) sides, which is centric to the film. “Direk Marilou Diaz-Abaya, my mentor, once told us that she was fascinated with Islam when she was making “Bagong Buwan”. I thought I understood why, that it was only an interesting subject matter, nothing more. Only when I started listening to Professor Darwin Absari and Imam Bedejim Abdullah was I able to grasp what my dearest Teacher meant. I was invited to Mosques and conversations over sweet drinks. You don’t really research Islam. I had to feel it. I had to feel the struggle of our Muslim brothers. I had to feel the joy of their Faith. I had to feel the Oneness of Allah. I had to reach deep into Mindanao and find at its center, the soul. Like Marilou Diaz-Abaya in “Bagong Buwan”, I found myself captivated by some aspects of Islam, and I hope that “Ang Araw sa Likod Mo” reflects this,” Nuesa shares. An anti-piracy film ambassador, the director strongly supports Globe Telecom’s #PlayItRight anti-piracy campaign which aims to respect the hard labor and protect the livelihood of the crew. “Piracy is no longer cool nowadays, we want everyone to start having a conscious effort not to download from illegal sources that could possibly harm the hard-earned devices of the customers,” Yoly Crisanto, Globe’s SVP for Corporate Communications shares. A highly-recommended viewing for students, “Ang Araw sa Likod Mo” opens May 24 in cinemas nationwide from An Earth Below Productions in cooperation with HERO Foundation. Opens in Metro Manila, Cebu, Davao, Pampanga, Subic, Bacoor, Laoag, General Trias, Cagayan De Oro, Bacolod, Iloilo and Tacloban – check out Ayala Malls Cinemas, SM Cinemas, Robinson’s Cinemas, Shangri-La Cinema, Festival and Gateway Cinemas for schedules.